The United States faces major challenges in sustaining a strong middle class in the decades ahead. Rapidly changing, often volatile economic conditions are making it more difficult to enter the middle class--and stay there. Even as the bar to a middle class life is raised higher, economic opportunity is fading. 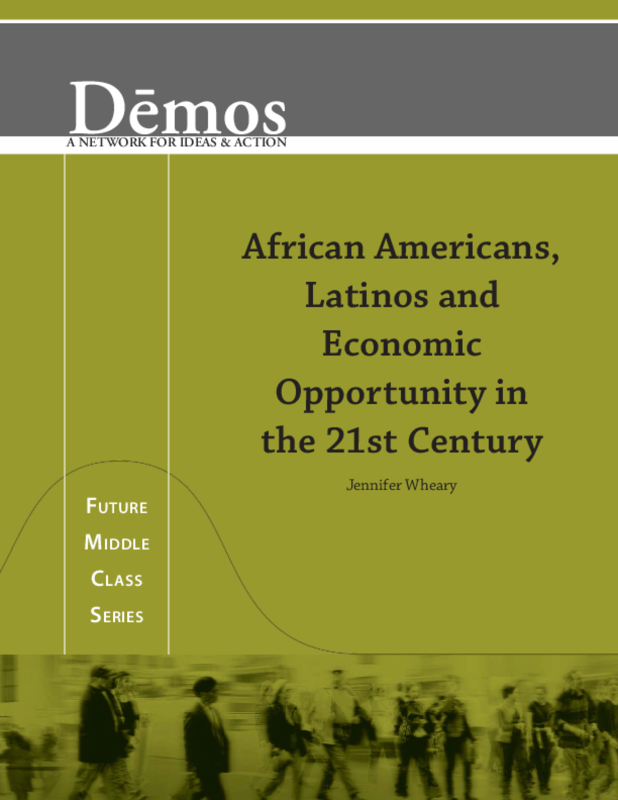 As a result, the most rapidly growing groups in the U.S. --particularly African Americans and Latinos--face growing obstacles to entering, and staying in, America's middle class. Drawing on recommendations from a previous Demos report, Millions to the Middle, we advocate policies that reinforce educational and economic opportunity for all Americans as the building blocks of a representative middle class. Foremost among these efforts should be developing programs that make college affordable, that foster homeownership and asset building and that ensure that work pays a living wage. We also advocate addressing discriminatory lending practices head on as one way to attack America's ongoing legacy of racial discrimination. We must bolster our existing opportunity infrastructure to prepare for the future middle class.